Examining all aspects of the popular beverage from coffee houses to paraphernalia for brewing, a handy reference includes coffee terms from A to Z and recipes for scrumptious accompaniments to a cup of coffee at any time of the day. From roasts to brews, coffee bean to coffee cup, this ''Essential Guide to Your Favorite Perk-Me-Up'' gets you into the espresso lane with more than 70 tempting recipes for coffee drinks and treats. Rise and shine! 160 pages; 4-1/4 wide x 5-3/4 high; concealed wire-o binding; book lies flat for ease of use; elastic band place holder. Coffee is more than a morning pick-me-up. This fair trade cookbook demonstrates the range of drinks and dishes that can be created using this much loved stimulant: hot chocolate with coffee and cinnamon, cafe frappe, Mexican mole, lamb fillets with mocha and apple sauce and more. It also enables the reader to follow the journey of the coffee bean from its origins in Latin America and Africa, through the refinement process, to roasting houses in more northerly climes. Details of fair trade coffee suppliers are provided at the back of the book. Whether your brew is dark and pungent or frothy and flavoursome, A Passion for Coffee will ensure your caffeine hit is on target. Award-winning food writer Hattie Ellis's blend of history, recipes, coffee know-how and quirky details will expand your appreciation of this stimulating drink. Hattie also offers tips on buying, storing, grinding and preparing the perfect cup of coffee, plus delicious coffee recipes, to help you to get maximum freshness and flavour from your brew. This perennial bestseller is all you need to enter the world of coffee-based drinks. Christie and Thomas Katona draw on experience as well as their own unique research to bring you this wide and varied collection of beverages, including espressos, cappuccinos, lattes, Italian sodas, cold drinks for hot summer days, and spirited drinks for colf winter nights. Wake up and smell the coffee! From a cappuccino in Rome to a sweet cafezinho in Rio, people all around the world savor their cup of joe. Now java lovers can become home baristas with this irresistible selection of coffee-based drinks—plus advice on making the perfect brew. These cafés come shaken, stirred, and blended, and include classic espressos, creamy confections, cool concoctions, after-dinner treats, and combinations with liquor or spice. From a layered latte to an iced Americano to a yummy mocha, these recipes will make any coffee fanatic happy! North Americans brew 235 million cups of java every day, making it the most popular drink in the country. Whether you're attracted to the aroma, the ritual, the caffeine, or all of the above, Coffee Drinks explores the full range of custom-crafted possibilities--piping hot, icy cold, milky, foaming, sweet, or spiked. From Espresso in the Clouds to Machiatto Brûlée, these innovative drinks will keep the senses percolating. 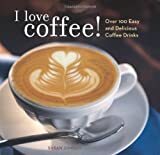 For coffee lovers, this is a dream book -50 recipes from around the world, plus evocative text about the love of coffee, cafes, and coffee bars, with a beautiful four-color package and impulse-purchase price. 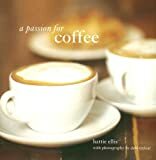 Coffee: The World's Great Recipes, Histories and Stories is a valuable guide to the history, lore and recipes for traditional and modern coffee drinks, coffees and coffee recipes. Replete with fascinating coffee education and lore these beautifully photographed coffee cards tell the tale of one of our most valued beverages, coffee. From its historical beginnings the path of coffee has influenced and been influenced by history, created trade routes and made and ruined fortunes.